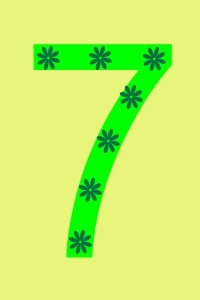 Give students piece of paper containing outline of the number 7. Have them cut out the seven. Glue to another piece of blank paper and stamp with rubber stamp seven times.